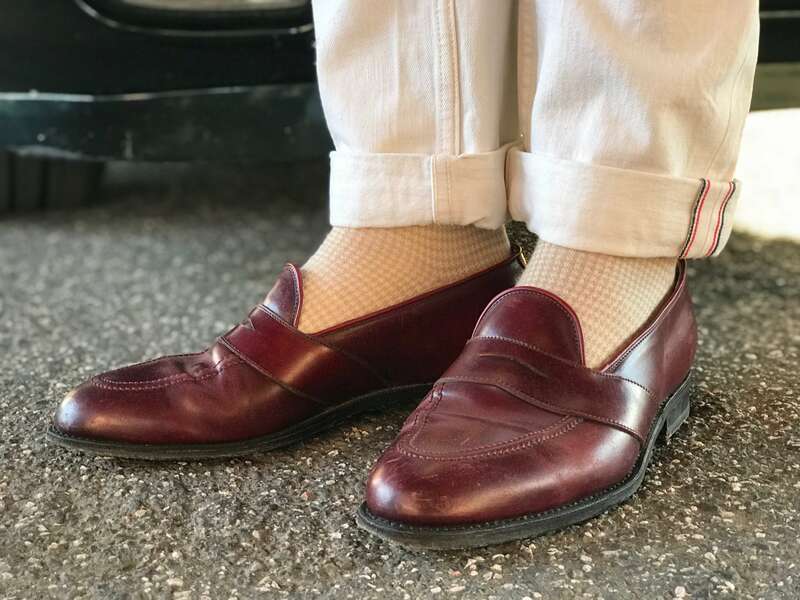 These beige over-the-calf socks with a cream houndstooth check are made from a remarkably soft wool blend by renowned sock manufacturer Bresciani. They are just the right weight for mild fall and winter days. The socks feature a slightly fuzzier texture than our cotton equivalents and a lovely color depth. They feel tremendously soft against the skin yet the the reinforced heel and toe make the socks outstandingly durable. 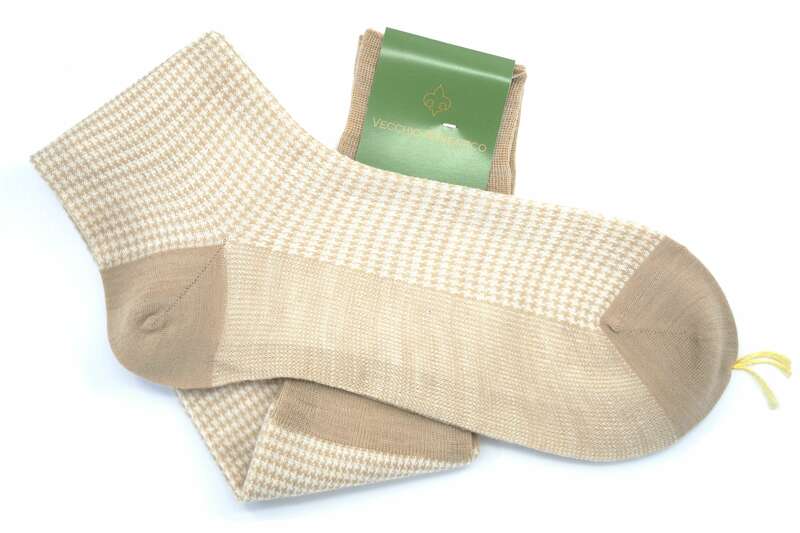 On top of that they are machine washable just like any other pair of cotton or linen socks. Pair them with a pair of cricket white flannel pants and gold museum calf cap toe oxfords for a classic look or go bold(er) with a pair of denim jeans and #8 shell cordovan full strap loafers. Our fine socks are made by Bresciani, one of the most prestigious sock manufacturers close to Bergamo, Italy. 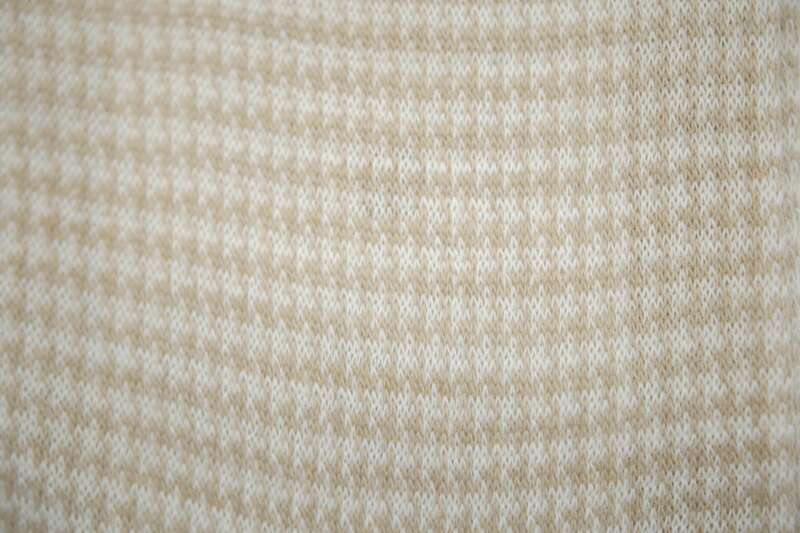 They offer a wide array of materials and patterns ranging from cotton, linen, silk and wool to cashmere. The sizing of our wool socks is true to size and should be equal to your shoe size. If you’re in-between sizes we recommend to size down.